Large “Black Pot” Gravy spoon - it has the end of the spoon filed down to help scrape the bottom of the pot. 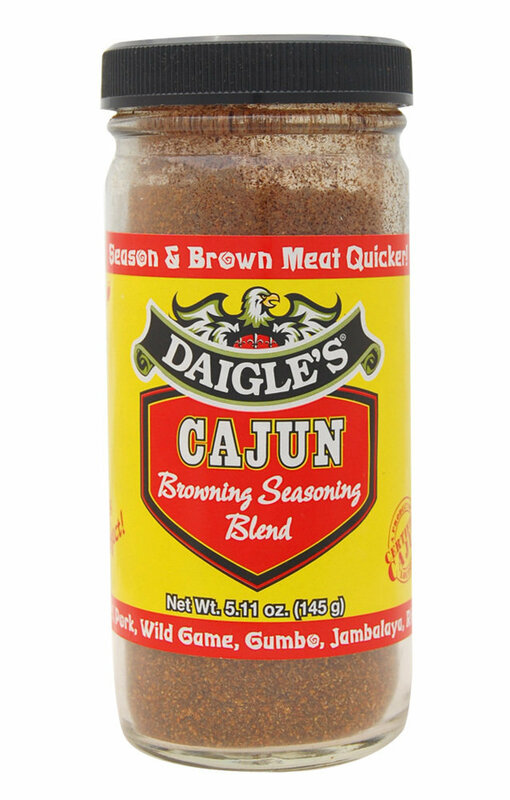 Season beef steak with Daigle’s Browning Seasoning or your favorite Cajun Seasoning on both sides at least one hour before cooking. Place Pot on stove set to medium to high heat, add sliced sausage cook sausage until both sides are brown, will need to occasionally add water and may need to scrape gristle from bottom of pot (leave gristle in the pot, this will help make the gravy and provide flavor) Once the sausage is cooked remove them from the pot and place in bowl, they will be added later. Next add vegetable oil to the pot and add the steak. You will begin browning the meat it is what will give you the gravy to put over rice. Keep the stove on medium to high heat, let the steak brown really well on one side adding water and scraping the bottom of the pot to keep the gristle from burning. You may remove some of the gristle but keep it in a bowl you will need to add it later. Once the steak has browned on one side flip the steak and do the same for the other side, adding water and scraping the bottom of the pot. This may take about 45 minutes or so the longer you brown it the better it will be and more gravy you will be able to make. Once the steak is brown, remove the steak from the pot and add the chopped vegetables. You will sauté them until they are tender will need to add a little water at a time and stir them to make sure they do not burn or stick. After the onions are tender add steak, sausage and gristle that you may have removed. Add about 3-4 cups of water keeping the stove on medium to high heat let the water boil down, stir and scrape the bottom of the pot with a spoon making sure it does not stick or burn. You will need to keep adding water as the water evaporates, add enough water until the water covers the meat continue this until the meat is tender able to cut it with a fork tender. When the water just about boils out or little water left in the pot, it is now time to add potatoes. Add the cut potatoes then add enough water to cover meat and potatoes. Add cover to the pot then put the stove on medium heat. Let it cook down until the potatoes are tender. At this time you can taste the gravy to see if it may need seasoning add seasoning if needed. Also if the gravy looks too watery let it cook down a little longer.